Since 1992, Restaurant Week has given patrons and visitors the opportunity to experience the best that New York cuisine has to offer through prix fix menus. The program has attracted hundreds of thousands of hungry, cost-savvy gourmets, and is one of the most anticipated weeks of the year. The current pricing is $26 for lunch and $42 for dinner during a two-week period. As the district is home to some of the most distinguished chefs, including Michael Armstrong, Nicolas Frézal, Suzanne Cupps, and Masaharu Morimoto, this is the perfect time to try a three-course meal for a fraction of the price. Here are some of the best of the best this Restaurant Week season. 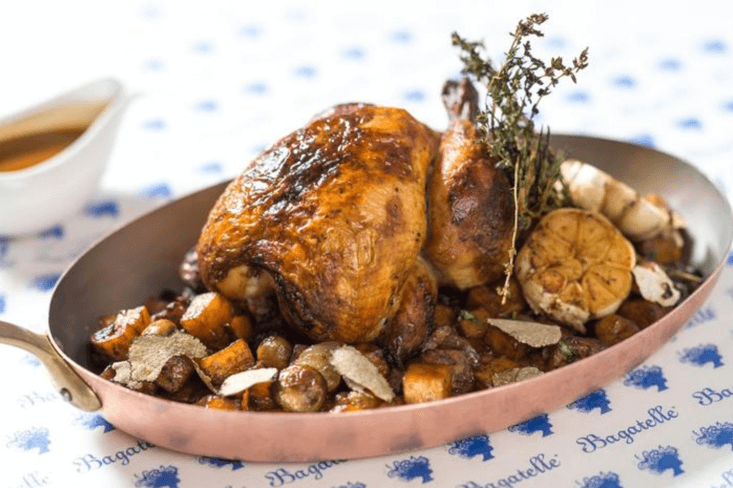 Bagatelle is one of the trendiest spots in the neighborhood, attracting celebrities and foodies alike with its French mediterranean cuisine and exuberant energy. 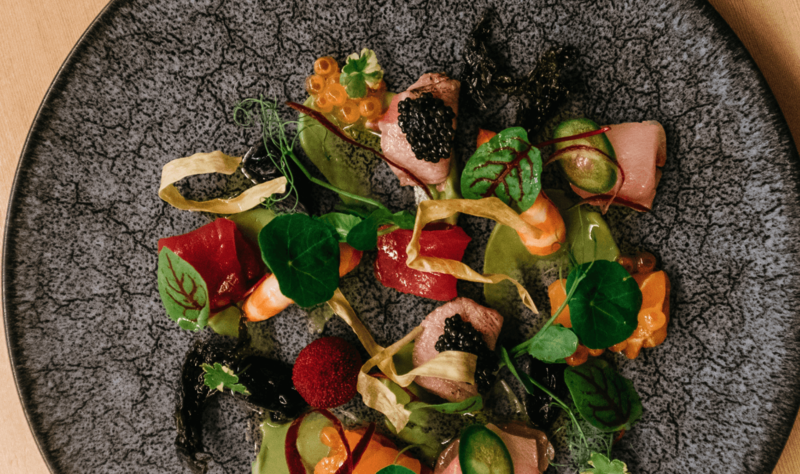 Come try Bagatelle’s seasonal menu, created by chef Nicolas Frézal, who hails from the South of France and has previously worked at the Parisian Michelin-starred restaurant, Le Taillevent. At Catch, you can experience quality, gourmet seafood with a one-of-a-kind view. Boasting three floor dining options including a rooftop deck, Catch is a trendy place to enjoy a drink and watch the sun set. 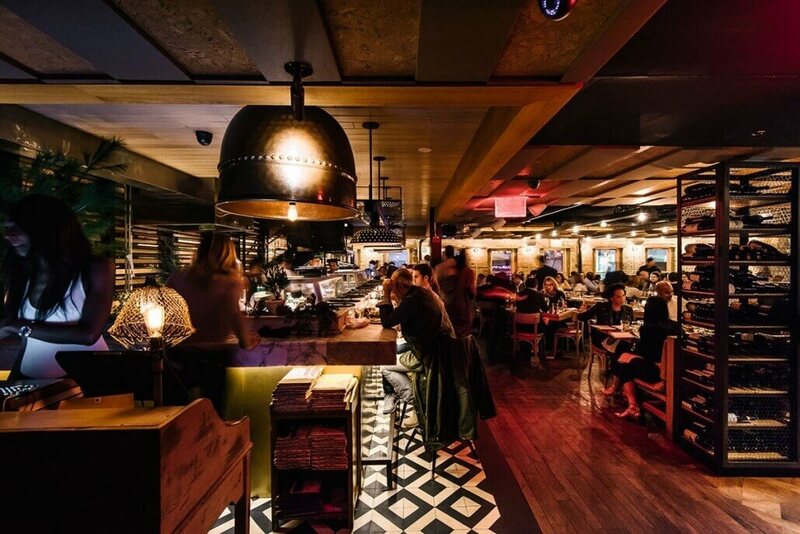 The service at Catch is highly-rated, as is the energetic ambiance, which attracts hundreds of hungry visitors a night. Famous for its handmade guacamole and selection of over 100 kinds of tequila, Dos Caminos is the neighborhood’s popular Mexican cantina, offering original and mouthwatering dishes and cocktails. 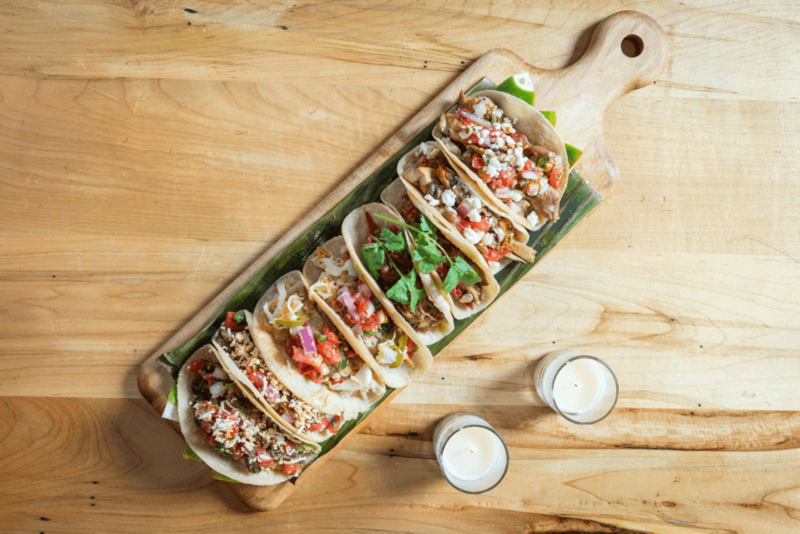 Fun and animated, the Dos Caminos Meatpacking location differs in that it also possesses a wood-fire oven, which adds a subtle, smokey flavor to many of the fan-favorites. Situated in the transparent, glass hall of the Whitney Museum, Untitled is a contemporary American restaurant, offering museum patrons and others a rotating, seasonal menu created by distinguished chef Suzanne Cupps. The restaurant’s menu centers around seasonal vegetables and subtly combines global influences into its offerings. 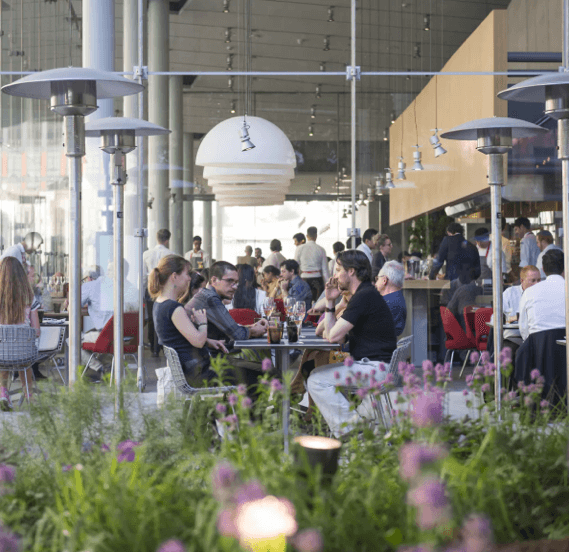 Untitled also provides its guests with a view of both the Hudson River and the High Line, creating a green, lush environment perfect for a midsummer meal with friends. The menu, which has not be released, will include dishes incorporating summer vegetables. 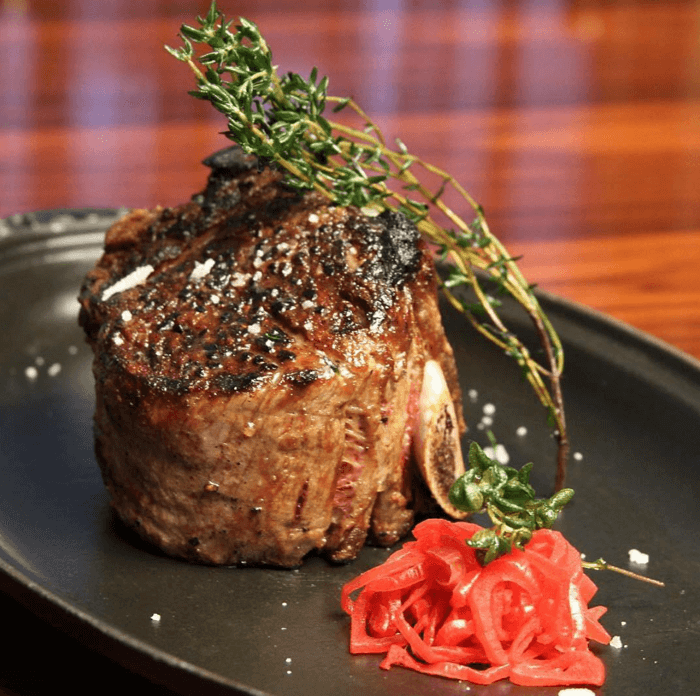 STK Downtown is a high-energy steakhouse offering a wide variety of quality, aged steaks. With the tagline “Not your daddy’s steakhouse”, STK Downtown is a hip, modern spot that incorporates DJs, striking decor, and intimate seating into the dining experience. Currently headed by chef Bradley Day, STK Downtown offers world-class cuisine and dining options not to be found anywhere else. 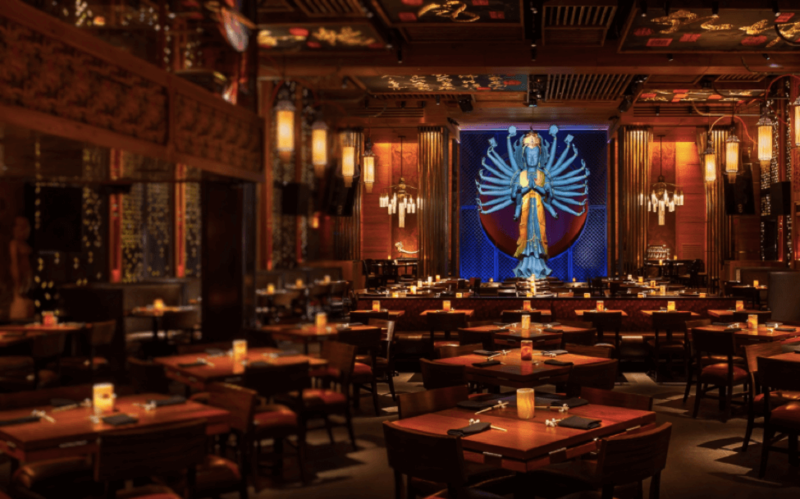 Tao Downtown is a restaurant that doubles as a nightclub, famously adorned with enormous statues, including the Quan Yin Buddha and reclining Buddha, and complete with the Ink Bar, decorated with ink brush paintings and located in the lounge. The cuisine at Tao Downtown spans from East to West Asia, including Malaysian, Szechuan, and Japanese influences, and offers house-made dim sum and a wine/sake list with hundreds of options. The restaurant itself is completely subterranean, adding to the mystique of this sophisticated lounge. 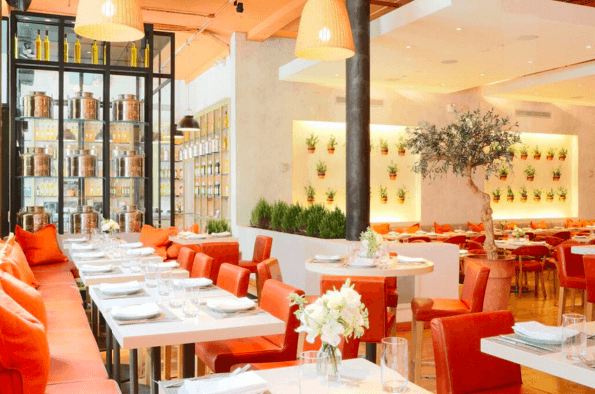 The Tao Downtown kitchen is headed by chef Ralph Scamardella, who has had three decades of experience cooking for some of the most esteemed restaurants in the world. Bodega Negra is an upscale Mexican restaurant located in the Dream Downtown hotel, serving inventive and sophisticated dishes in a Tudor-style tequila warehouse. Guests have to pass through unmarked doors to enter this trendy spot, which boasts a comprehensive drink menu made from handcrafted mezcal and tequila. 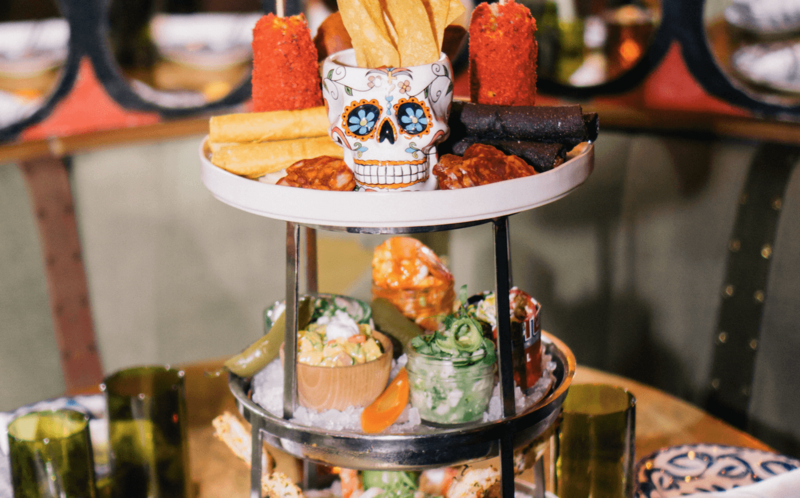 Chef Michael Armstrong is responsible for the menu at Bodega Negra, and also created the famous Don Huevo dessert, which includes a cake nestled inside a melting chocolate ball. 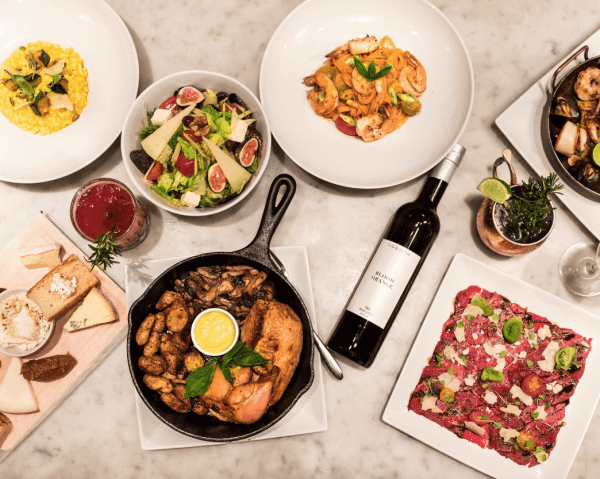 Fig + Olive is a spacious, sophisticated restaurant that specializes in Mediterranean dishes made with authentic olive oil, which patrons can choose to buy at the door. Plates at Fig + Olive are usually smaller in size, perfect to share, and feature fresh and wholesome ingredients. The decor is peaceful and thematic, featuring plants and flowers from Provence, where both fig and olive trees are abundant. Citrus Glazed Scottish Salmon, Cauliflower Couscous with Raisin & Fresh Mint, Fennel, Parsley Salad, Marcona Almond Dust & Preserved Lemon Purée. Morimoto, named after its master chef Masaharu Morimoto (a.k.a. the Iron Chef), is well-known worldwide due to it’s bold menu, which combines Japanese and Western flavors to create a completely one-of-a-kind cuisine. Morimoto has received critical acclaim for dishes like the Wagyu Beef Carpaccio, Oyster Foie Gras, Yu-Burrata with Black Truffles, and Toro Tartare. The restaurant itself is futuristic and stylish, designed by architect Tadao Ando. High Street on Hudson is a cozy but elegant American eatery, open for three meals a day and serving award-winning pastries, salads, and family-style dishes. 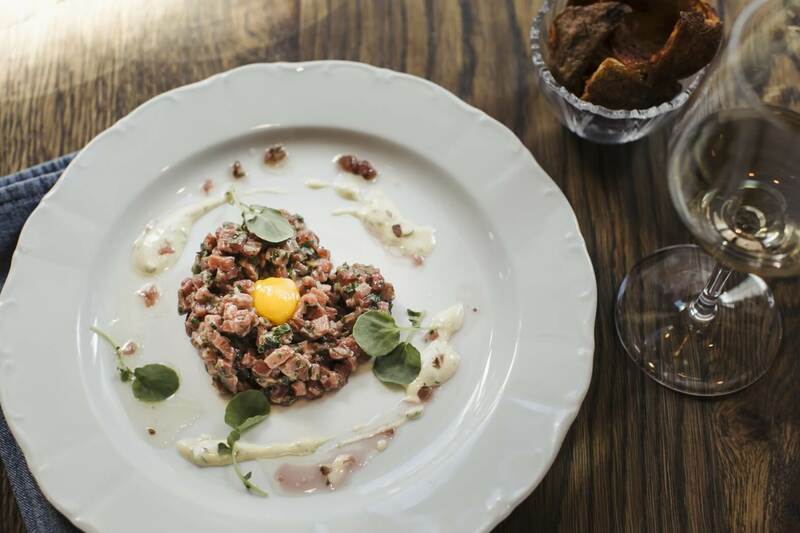 Headed by chef Eli Kulp, High Street on Hudson is well-known for its homemade bread and inventive entrees, like sunflower-seed risotto, lamb tartare and melon gazpacho, all featuring seasonal, fresh produce and farm-to-table ingredients.